How Does the Learning Program Fit into Curriculum? 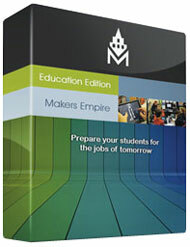 Visit the Makers Empire website to download a sample lesson plan. You can also begin your Makers Empire software trial, or contact us to access the complete 3D Printing Learning Program. The above video details the results a teacher found while observing his students’ spatial awareness over six months of using the Makers Empire software.